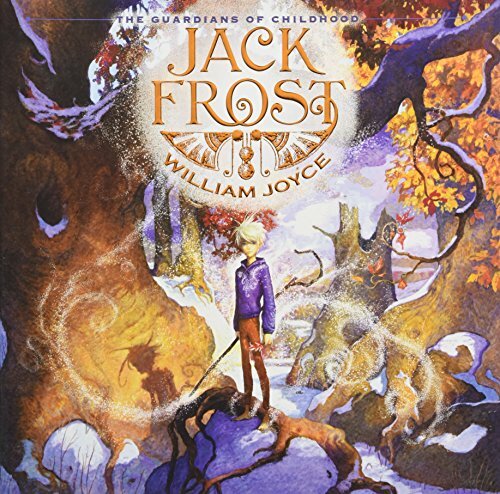 Amazon.com description: Product Description: Discover how Jack Frost keeps the hearts of children happy in the third picture book in Academy Award winner William Joyceâs New York Times bestselling and âdazzlingly inventiveâ (Publishers Weekly) The Guardians of Childhood series. Before Jack Frost was Jack Frost, he was Nightlight, the most trusted and valiant companion of Mim, the Man in the Moon. But when Pitch destroys Mimâs world, he nearly destroys Nightlight too, sending him plunging to Earth where, like Peter Pan, he is destined to remain forever a boy, frozen in time. And while Nightlight has fun sailing icy winds and surfing clouds, he is also lonely without his friend Mim. To keep the cold in his heart from taking over, he spreads it to the landscapes around him and earns a new name: Jack Overland Frost. But a true friend always comes through, and on one particularly bleak night, Mim shines down and shows Jack a group of children in great peril. Through helping them, Jack finds the warmth heâs been yearning for, and realizes bringing joy to others can melt his own chill. It is this realizationâthat there will always be children who need moments of bravery, who need rosy cheeks, who need to build snowmen, and who are then eager for a spring dayâthat makes Jack realize why he is a forever boy, and worthy of becoming a Guardian of Childhood.